Old Friends at Cabin Creek, the Bobby Frankel Division, is Saratoga County’s only thoroughbred retirement farm and one of the few that will take thoroughbred stallions. Our purpose is to provide dignified retirement for all racehorses, both known and unknown. 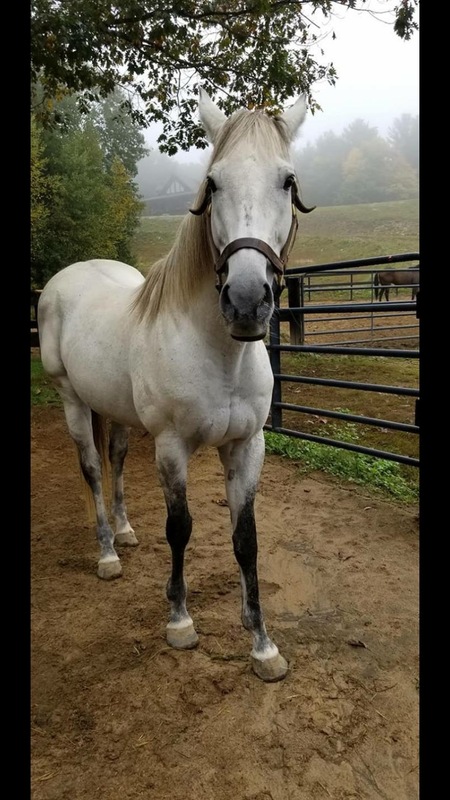 Completely staffed by volunteers and run entirely on donations, our goal is to provide a natural, nurturing forever home to retired race horses, and offer the public an up-close and personal experience with our thoroughbred horses. We are open to the public year round with many special events during track season. WE ARE PROUD TO ANNOUNCE THAT 2019 IS OUR 10TH ANNIVERSARY! THE OFFICIAL OPENING OF OLD FRIENDS AT CABIN CREEK WAS IN MAY OF 2009 WITH THE ARRIVAL OF MOON SHADOW GOLD. PLEASE MARK YOUR CALENDARS AND JOIN US TO CELEBRATE THIS SPECIAL OCCASION. Old Friends at Cabin Creek is open for tours! Old Friends at Cabin Creek is a grant recipient for 2017 from the Thoroughbred Charities of America! generous support of our retirees! Thank you, Thoroughbred Aftercare Alliance! Thank you, New York Thoroughbred breeding and Development Fund! Can't volunteer, but want to help? Come support Old Friends at Cabin Creek during our tour hours! Have a favorite Old Friend you'd like to visit? Want to meet all of the boys?